Action for Happiness (www.actionforhappiness.org) is a movement of people committed to building a happier and more caring society. Their mission is to help create a fundamentally different way of life – where people care less about what they can get just for themselves and more about the happiness of others. They have devised 10 keys for happier living based on scientific research. The 10 keys are: giving, direction, relating, resilience, exercising, emotions, awareness, acceptance, trying out and meaning. One of the keys that we can very easily share with our mentees is ‘positive emotions’, otherwise known as, ‘look for what is good’. This involves writing down 3 good things that happen to you every day. You also need to write down why those things were good. Psychologists have found that positive emotions do us good. 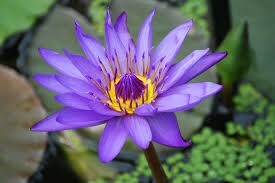 When we experience positive emotions we can literally open up like a waterlily waking up to the sunshine. When you are open you can see more, be more compassionate, able to trust others and welcome new ideas. Children’s ability to learn improves and they get better results in tests. Positive emotion fuels creativity, learning and the courage to try new things. In a scientific experiment people were asked to ‘look for what is good’ each night for one week. After doing so they showed an increase in happiness and a decrease in depressive symptoms that lasted for up to 6 months. This is an activity that can be introduced into our mentoring sessions right at the beginning of the programme and followed-up at the start of every session. It will be interesting to see what impact this has on our mentees’ level engagement and success on the programme not to mention on their overall confidence, self-efficacy and eventual employability.